Loyalty is a hot topic these days. With Chris Brown lyrics describing who he sees as disloyal, a great debate began on who really is and is not loyal. At the end of it all the idea of loyalty has become really muddled and when people talk about it in conversation you have to wonder if the people who are most adamant about not having loyal people around them are in fact loyal to others. The question of if we or those around us are loyal extends to almost every aspect of our lives from our friends to family and even to our jobs. At the base of it the question remains, however: Have we really become a society where loyalty should not be expected? How well do you communicate your expectations of loyalty from those around you? Like most words, despite having a definition, the word loyalty actually means a lot of different things to people. I once was in a relationship that assumed disloyalty because I did not call every night event though that was not at all how I would define loyalty. Everyone is different and has a different perspective. If you don’t share what loyalty means to you then how fair is it to expect it from someone? 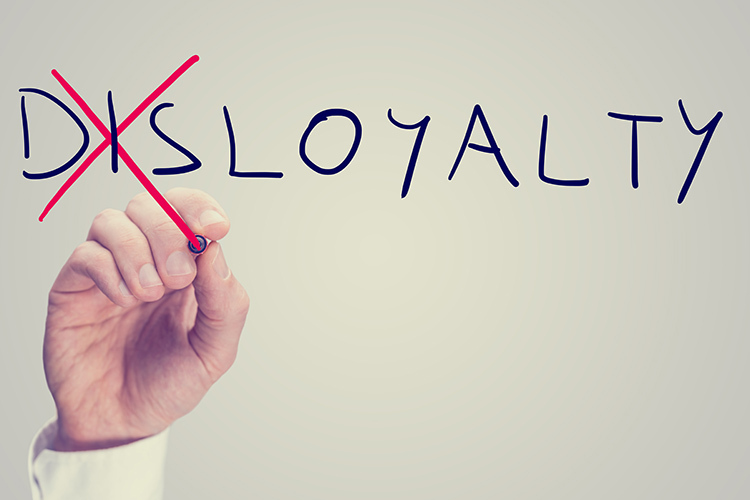 Where do you start with people with your loyalty expectations? Loyalty and trust walk hand in hand. Going too slow or too fast in building that trust can take you back to zero at the end of the race. If you expect loyalty from someone but you would not trust them with $50 or an important task then maybe you should take a step back and check your expectations. Being aware of who someone is gives you an idea of if the mistake was yours or theirs when loyalty issues come up. Plus you get to remind yourself that people can be loyal to a lot of things. Getting confused that people should be loyal to you when their only loyalty was to the money or lovin’ or opportunities from the beginning can happen pretty quickly. Usually where people’s loyalty start can be a deal breaker on the backend. Think about if you started rich and ended poor who would still be there, probably not the people whose devotion was to the riches in the first place. Are you willing to give as good as you get? I think the best explanation of loyalty is a faithful devotion to another person. The loyalty goes out and you have faith that it will be returned. You have to give first to really have earned that expectation. When you step out on faith it helps to balance the loyalty scale we all use for gauging loyalty. We use this scale to weigh the loyalty you give and get by setting the tone for what you see as loyalty in others. If you are “doing you” then expecting other people to not “do them” is silly. If you are giving the same loyalty you expect then don’t be afraid to look and you and look at them when you ask the question what went wrong. Feeling some kind of way but do you ask why? Sometimes we knew the answer all along and still act surprised when we see the result. The answer may lie with us or with someone else but when we ignore the why chances are we are not stopping the disloyalty but just putting it on pause and repeat. Getting to the root lets you see both yourself and others in a different way and hopefully build a way to loyalty both to and from the people around you.